They are like a man building a house, who dug down deep and laid the foundation on rock. When a flood came, the torrent struck that house but could not shake it, because it was well built. I don’t know much about tools–at least not “manly” type tools. I can use a hammer, a screwdriver, and pliers if I have to, but that’s about it. I’m better when it comes to kitchen tools. But writing tools! That’s where I know what I’m doing. My point is that no matter what you’re doing, you need the right tools to do the job right! Spiritually speaking, we need the right tools as well if we want to have a strong foundation that can not be shaken. Tools like the Bible, praying, meditation, and the counsel of godly people to name a few. And let’s not forget praise, worship, and thanksgiving. These and more are the spiritual tools that help us build a strong foundation for our lives. But here’s the thing about tools–you have to use them! You can have the top-of-the-line tools, but they are worthless if you don’t use them. If you use them once in a while, you aren’t going to get proficient with them. The more you use them, the better you get at using them. 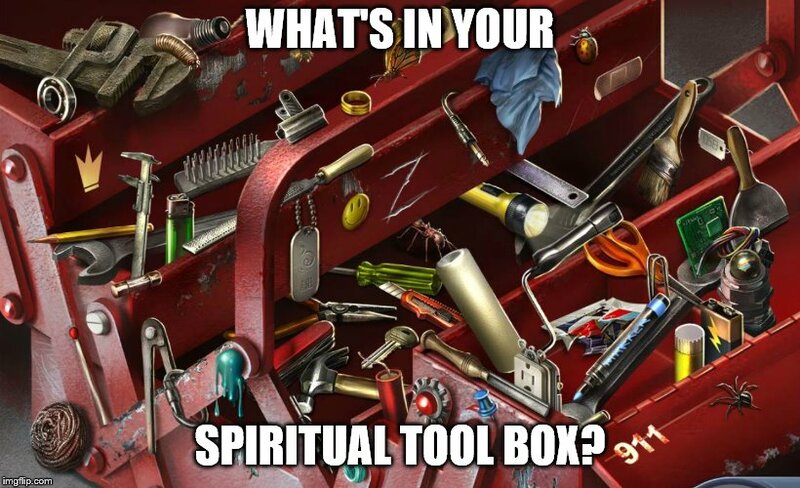 YOUR TURN: What’s your favorite spiritual tool?